If you're looking for a break from the rolling hills of the Midlands or the endless sands of the KZN coastline, then take a look at Colisheen Estate in Ballito. 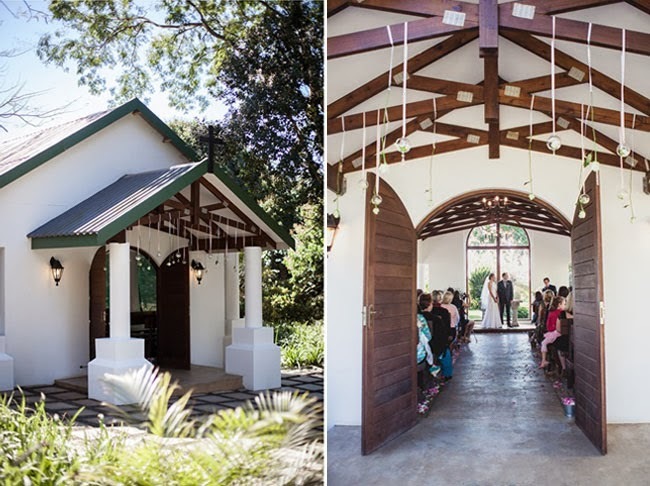 A quaint open chapel and a large boma style venue set in amongst sugar cane is what you'll come to find from this popular and charming wedding venue. With the addition of The Orchid House venue onto the property, Collisheen has become really flexbile for couples looking for a smaller wedding. 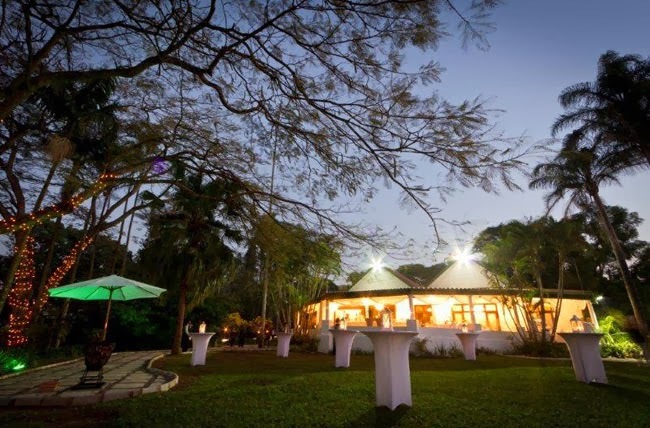 The Boma Venue can accommodate between 120 - 400 people and the Orchid House can hold from 40 - 120 people. Does Collisheen come with an indoor or outdoor chapel? 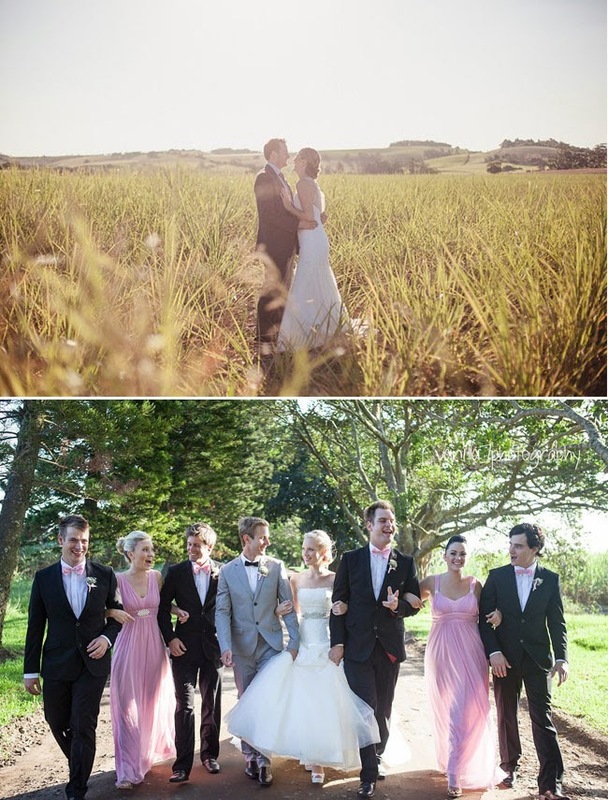 Collisheen has recently introduced a second venue option, The Orchid House, to their wedding packages. To that effect, there are two chapel options. 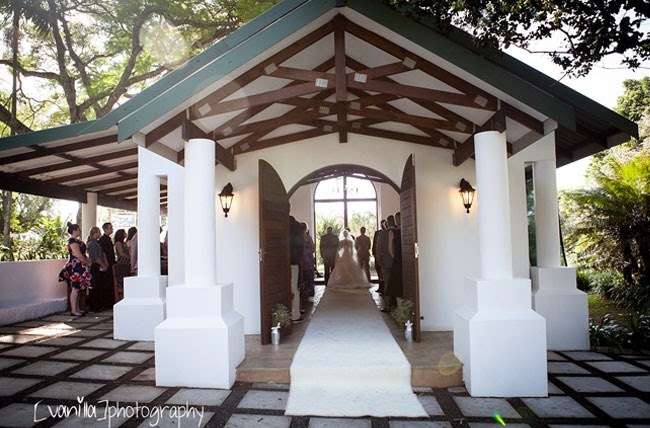 A semi open chapel is part of the Boma Wedding Package and an outside Gazebo wedding option for the The Orchid House. 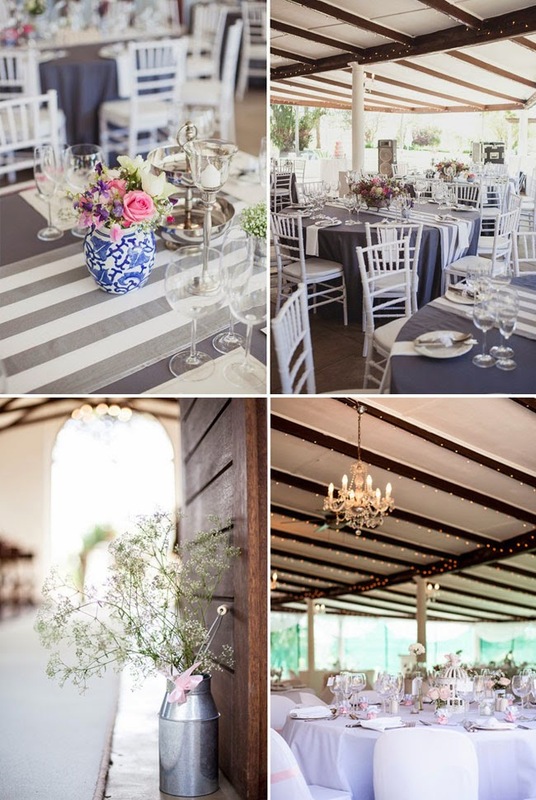 The Boma Package includes a private venue, a function manager, a wedding co-ordinator, catering, chapel, crockery, tables and linen, chairs and chair covers, easel, full bar facilities, waitron service, fruit cocktails for after the chapel service, bridal salon and parking attendants. 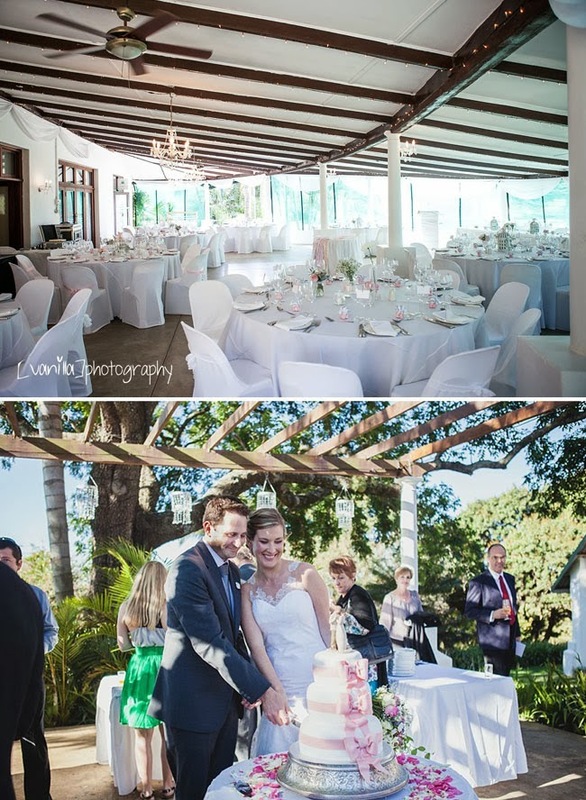 The Orchid House Package includes a private venue, catering, a function manager, a wedding co-ordinator, bridal salon, crockery, tables and linen, chairs and chair covers, easel, full bar facilities, fruit cocktails and parking attendants. The catering options are vast as they arranged on the premises by qualified chefs. Each package includes a host of options from a plated banquet menu to buffet-style banquet, eastern, african and vegetarian menus. Each menu has a large lists of options to choose from, ensuring that the menu is tailored to your tastes. Does the Collisheen venue include a honeymoon suite? The package does not include a honeymoon suite, but there is accommodation available in the Orchid House B&B rooms. There will be an additional cost of up to R1000 per hour for functions that last longer than 8 hours. You will be invoiced for this prior to your function so that you can plan your overtime ahead. Unless agreed upon with prior arrangement, the venue will close at 1.00am. Yes, both venues come with a function manager that is on duty for the duration of your function and a wedding co-ordinator that assists you with planning your day. What kind of size wedding can be held at Collisheen? The Boma venue can accommodate larger weddings from 120 - 400 guests and The Orchid House can accommodate smaller weddings from 40 - 120 guests. What kind of bar is run at Collisheen? A full bar service is included in both packages and can personalised to your tastes. A barman service is also included in both packages. As opposed to paying a set amount for the venue and another for the catering - the entire package is based on a price per head. You can see the full 2014 rate card for both venues on the Collisheen website. The Boma package ranges from R190 to R400 per person and the Orchid package ranges from R220 to R550 per person. Other good things to know about Collisheen? The team at Collisheen are really accommodatiing to your needs - they are flexible and are ready to customise your wedding to suit your needs and tastes. Collisheen also offers draping, lighting, and table decor - making co-ordinating everything so much easier. They also offer Tiffany white chairs, outdoor fireplaces for those chilly nights and garden lanterns. You can also use their handy wedding quote calculator to work out the cost of your wedding. All photographs are by Vanilla Photography except the third which is from the Collisheen Facebook Page and are not subject to be used without permission.